The Sober Living system from the North Cottage Program takes place in two of the facilities that are owned and operated by the company. The program introduced male patients to a sober environment where they can continue to recover after they have successfully completed one of the inpatient recovery programs that the company has developed. The Sober Living program is only made available to male patients, and the patient needs to undergo a treatment program that focused on helping the patient detoxify and start their journey toward a successful recovery. Both houses feature full amenities to ensure patients can enjoy their lives during recovery, but no alcohol or drugs are permitted on the premises at any time. There are staff members appointed positions at the facilities to monitor patients, and the male patients who are part of the program need to attend meetings, therapy sessions, and a 12-step program. Weekly rent fees are charged to all patients. The North Cottage Program has two facilities that are part of their Sober Living system. The main house has a Victorian interior décor, while the second home, named the Attleboro home, features a different style. Both of these buildings are located in residential areas that are considered upscale, which is why the weekly rent fees are relatively high, especially when we compare the prices to similar recovery programs in the area. The main Norton home can provide accommodation for a total of 47 men simultaneously. The Attleboro home is somewhat smaller and can provide accommodation for a total of 21 men at a time. Men are gradually transitioned from the primary residential treatment plans that are offered at the North Cottage Program toward one of the Sober Living homes. The North Cottage Program offers a range of different treatment services that have all been custom developed to assist patients in recovering from a substance abuse disorder. They have different facilities available that offer these programs. Additionally, patients are also given access to the Sober Living program if they are male and have completed a residential program at the company. The Sober Living program provides men with an environment that promotes sobriety and does not tolerate any drug or alcohol being present on the property. No specific details are provided by the North Cottage Program in regards to how payments work for their Sober Living homes that have been dedicated to transitional treatment programs for male patients. While the primary inpatient programs do have more extensive details available, we are not sure if the sober living program would allow the patient to pay through an insurance provider. Instead, the company states that they charge a weekly fee that ranges from $520 to $600 each week for rent. The fee needs to be paid weekly according to their official website. It does not seem like the company offers any type of financial assistance or financing programs, but patients are free to contact the company to see if they can speak to a financial counselor. The North Cottage Program does not provide any details in regards to licenses that the company holds or accreditations that they have been awarded. 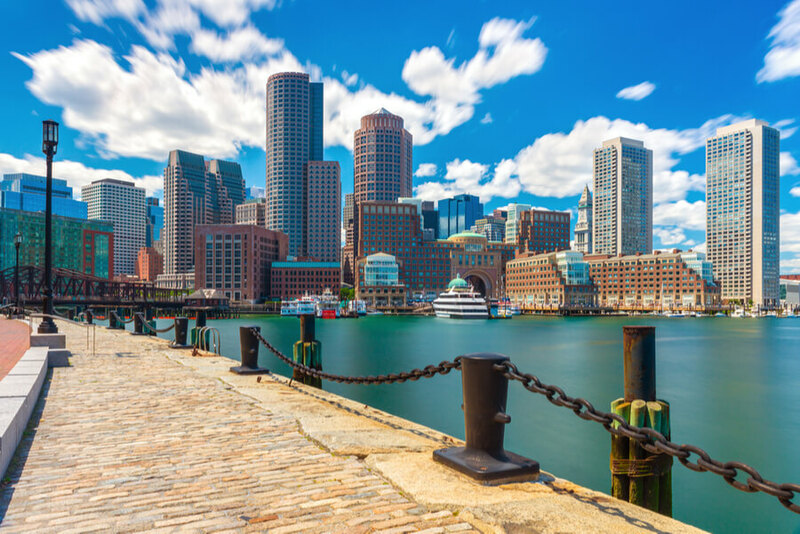 Patients can contact the company’s admission staff members directly if they would like to know if the company is officially licensed with the local Massachusetts state authorities. All patients are provided access to shared bathrooms, as well as a room that is fitted with twin-sized beds and dressers. The rooms have basic layouts. In addition to these amenities, the patients also have access to a reading room. The main sober living house has a pool table and a volleyball court as well. Patients are also allowed to visit the local community library in the area, but only at dedicated times. The North Cottage Program does not provide extensive details on the staff members that are involved at the facility. They do, however, share a short list of the administration staff, as well as some of the staff members that are involved in the admission process that provide counseling and assessments when patients come into the center in order to be treated for their addiction. No pictures of the staff members are shared, however, which means a patient will not be able to educate themselves on the faces of staff members in order to be more acknowledged when they visit the admissions center.